Travel teams baseball has grown steadily in popularity over the last twenty years. What does this mean? It means parents as coaches have taken baseball into their own hands and started their own baseball travel teams. But why start up your own baseball team? Why break away from the local Rec. baseball leagues and go independent with traveling baseball teams? Let’s look into this phenomenon a little deeper. This issue takes you to my recent article on how Pay for Play Travel Baseball has evolved into what it is today--A cover-up. 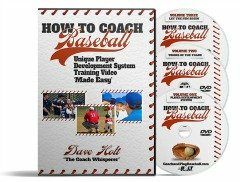 All the Myths on Travel Baseball. What is really going on in youth traveling baseball today. Thanks for helping out. If you didn't get a chance to take the coaching certification survey last month or you want to share it with your fellow coaches here is the link to the survey and the story behind it.